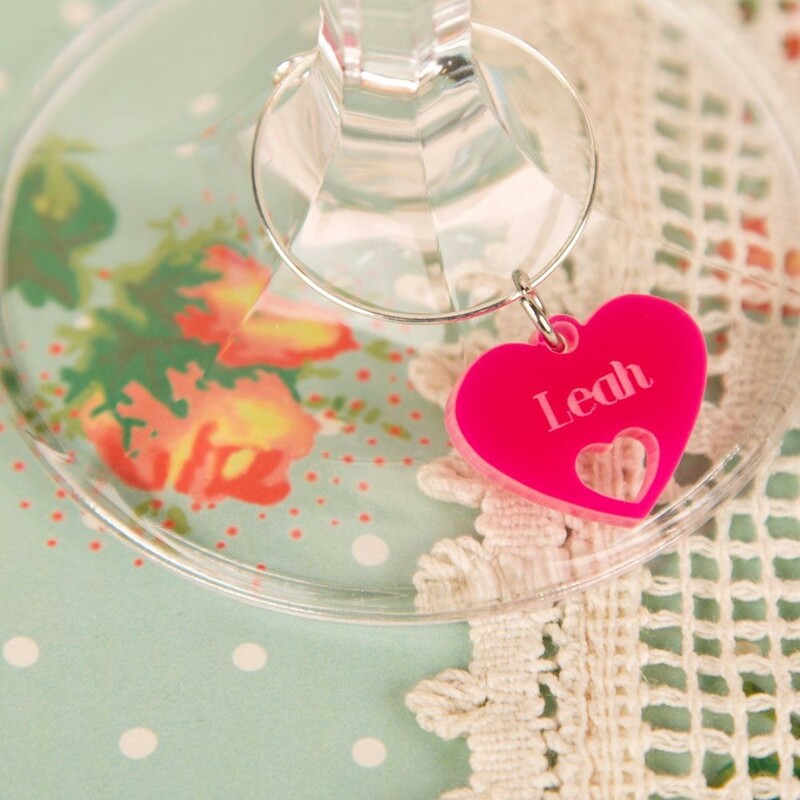 If a friend or family member is celebrating a special occasion and you were thinking about buying them a wine glass then why not get a personalised wine charm too. 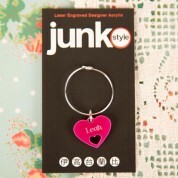 It will fit round most wine glass stems and will add a touch of glam to any glass. 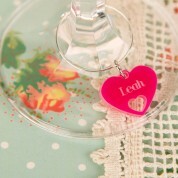 The recipient will love toasting a special occasion (like a wedding, hen night, birthday, dinner party or house warming perhaps) with a glass of wine (or champagne) with their new wine charm. It can be used again and again for future events and even over a glass of wine at dinner time. A personalised wine charm is the perfect way to never lose your drink again and no one will accidentally pick up your drink either. 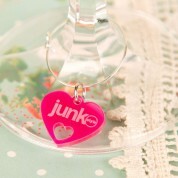 Material: Acrylic, Colour: Pink Dimensions: measures approx 3cm and is approx 3mm thick acrylic.